Home » life » Videos » Toddler Drops Burger, And Mom Does Something Extremely Horrible In Response! 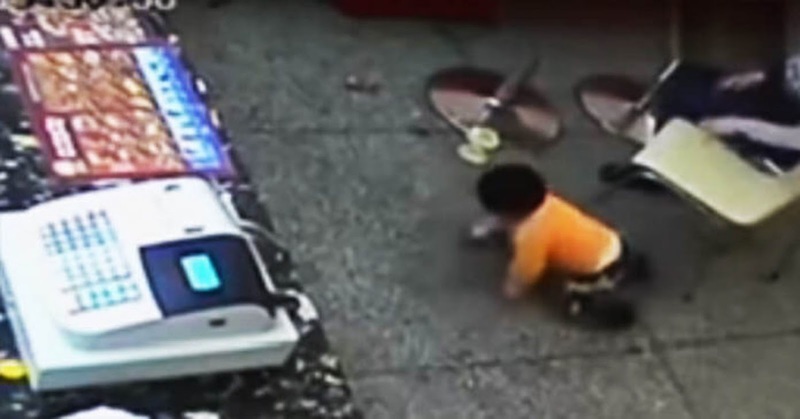 Toddler Drops Burger, And Mom Does Something Extremely Horrible In Response! WARNING: Viewer discretion is advised. In a fast food joint located in China, a mother and her child were simply enjoying a meal at first glance. Till the toddler drops his meal on the floor. His mother then proceeded to slap him – hard. He cries. She slaps his hands and legs while he stood. She then hits the back of his knees, causing her child to fall and tumble to the ground before kicking him multiple times. As her child sobbed head-first on the floor of the restaurant, she delivers a final kick, asking him to get up. He did not do so, which prompted her to drag him up by his arm and re-position him on a seat in a ape-like fashion. The whole thing was caught on security tape and uploaded online. View the shocking moment below! Such acts in simple situations like these, are considered as cases of child abuse. Air your concerns and share this story with your peers today!